Elite athletes and weekend warriors alike understand the struggles of training during the hot, humid summer months in many parts of the United States. One of the main problems is that the higher temperatures cause your body to sweat more in an effort to cool itself. However, the increased levels of moisture in the air makes sweating less efficient and breathing difficult. While sweating profusely and struggling to breathe during a seemingly simple workout can feel miserable, athletes will reap the physiological benefits of heat training even after the summer months have passed. One of the main benefits of heat training is an increase in blood plasma volume. 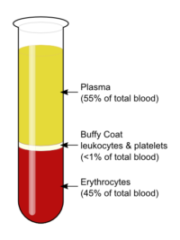 Blood plasma accounts for about 55% of blood volume and is mostly water, but also contains electrolytes, hormones, and proteins. Its main purpose is to carry these nutrients to the parts of the body that need them. Therefore, an increase in blood plasma volume allows the heart to pump more blood and more nutrients throughout the body. Studies on elite athletes have shown that even after only five or ten days of heat training, there was a 4.5% (five days) or 6.5% (ten days) increase in blood plasma volume. One study showed that the increase in blood plasma volume was also accompanied by an increase in VO2max (maximum amount of oxygen someone can use during intense exercise). Another study reported an increased rowing performance two weeks after the heat training occurred. In addition to increased blood plasma volume, heat training can help athletes reduce overall core temperature and blood lactate, which have both been linked to improved athletic performance. Overall, these adaptations not only make the athlete better acclimated to the heat, but allow them to perform better in cool temperatures as well. 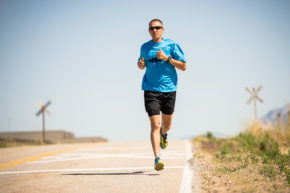 While many athletes have long utilized altitude training as a natural way to increase red blood cells, heat training also has its own specific set of physiological benefits. So if you cannot escape the heat this summer, at least take solace that you cannot escape its benefits either.